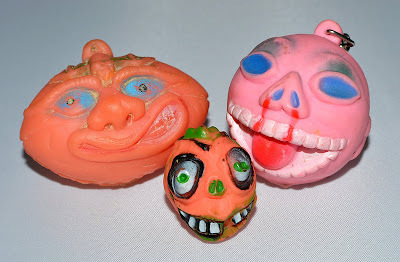 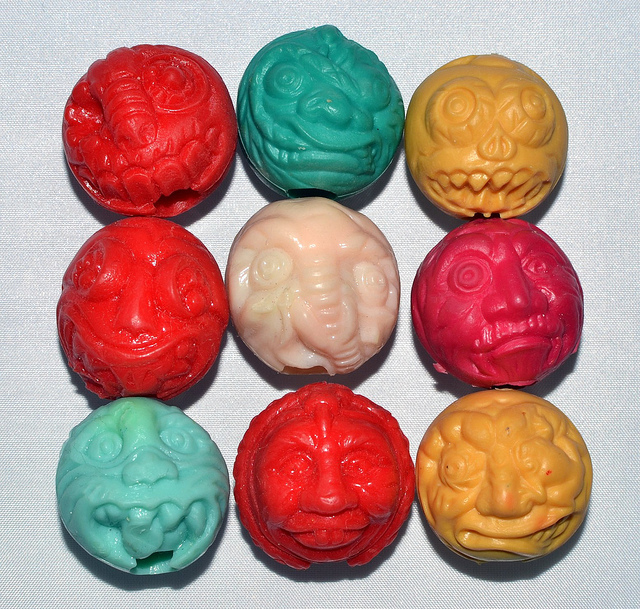 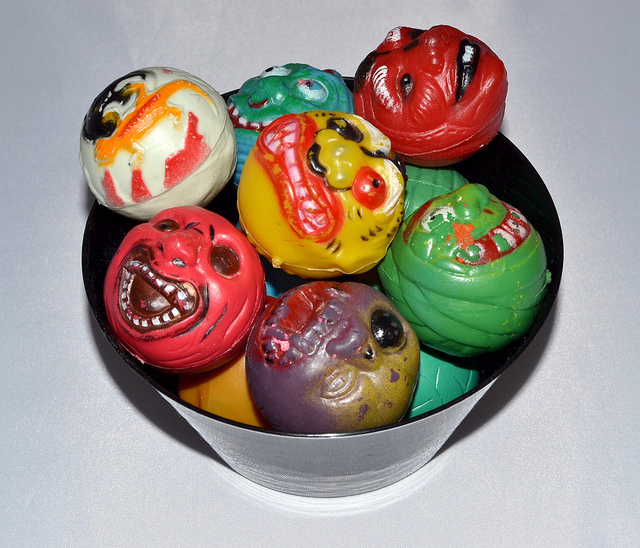 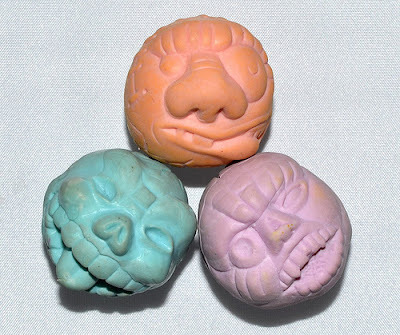 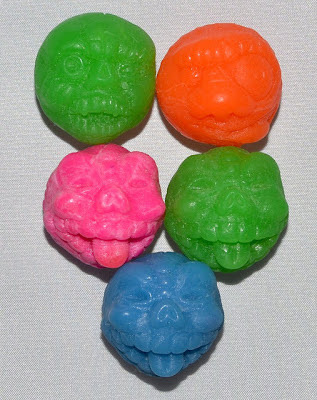 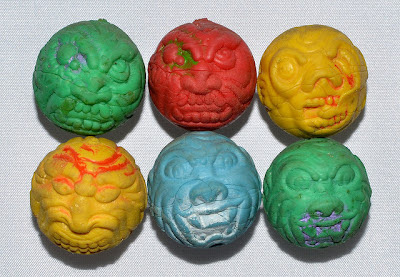 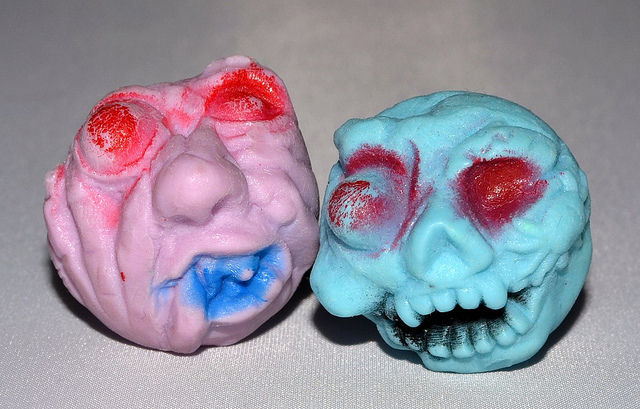 What: After the Madballs craze hit in the '80s, a bunch of random bootlegs and knockoffs began showing up in a variety of different sizes and materials, including superball-sized rubber monster balls, eraser-like pencil topper versions, keychains, slightly larger hard plastic types, and many more. 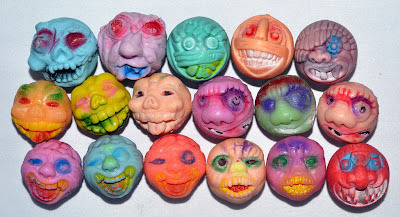 Being the lover of monsters and weirdness in general that I've always been, I scooped any and all of these up whenever I had the chance as a kid (well, I still do...). 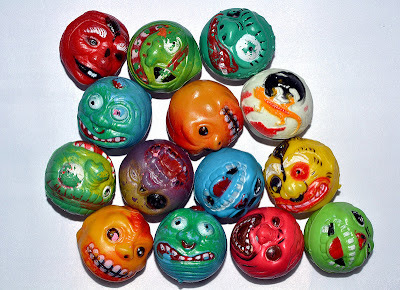 I'm not an expert on what most of these are actually called (I'm assuming many, if not all, are simply nameless knockoffs), but for the ultimate source of monster ball information and Madball madness be sure to check out the awesome site blarghhhspot. Where: Different varieties of these guys were offered at many different places, including toy vending machines, toy/department stores, and as carnival/arcade prizes.